Lamentations 3:21-25 – 21 But this I call to mind, and therefore I have hope: 22 The steadfast love of the LORD never ceases; his mercies never come to an end; 23 they are new every morning; great is your faithfulness. 24 “The LORD is my portion,” says my soul, “therefore I will hope in him.” 25 The LORD is good to those who wait for him, to the soul who seeks him. 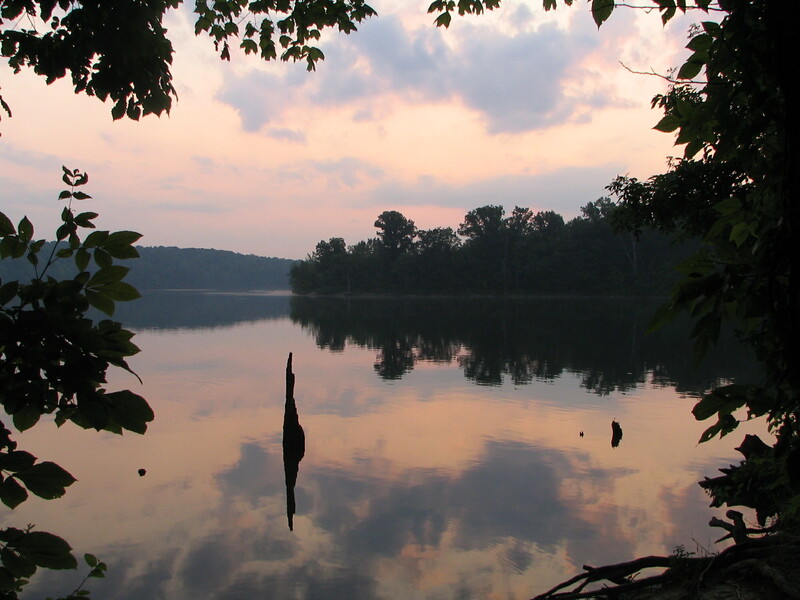 Morning sky reflected in the waters of Caesar Creek Lake just before sunrise. Caesar Creek State Park, Waynesville, Ohio. This entry was posted in God is Revealed... and tagged Caesar Creek Lake, Caesar Creek State Park, God, Lamentations 3, Waynesville Ohio by Todd D. Nystrom. Bookmark the permalink. Sorry for your loss. I pray that God will comfort you and your family.